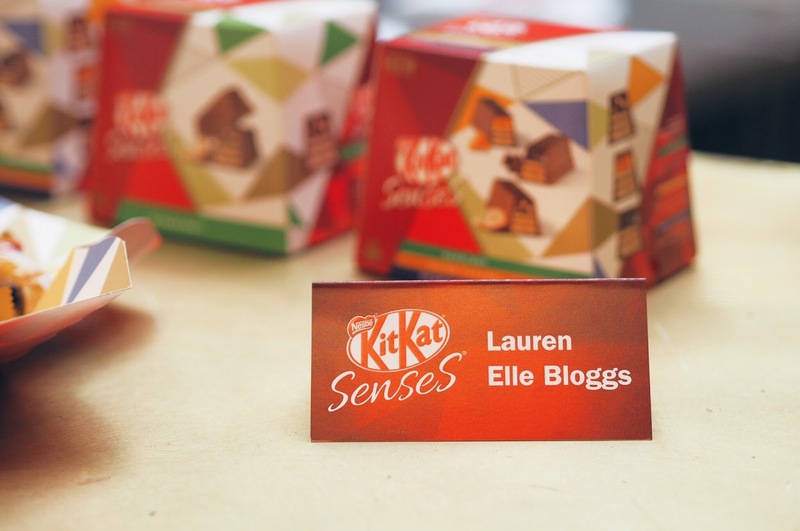 Every now and then I have a little 'pinch me' moment when an email from a brand I absolutely LOVE lands in my inbox - and that's exactly what happened when KitKat got in touch. Now if you follow me on Twitter, you'll probably already know how much I love KitKats, there's just something about them that I find kind of...comforting, I guess? I also remember when I was in Uni, my mum used to bring me cases of 24 that you can buy from Costco and I basically ate one a day for the four years I was there....so yeah, I guess you could say, I've kind of grown up with KitKat. And that's exactly what makes me so excited about their latest launch: KitKat Senses. 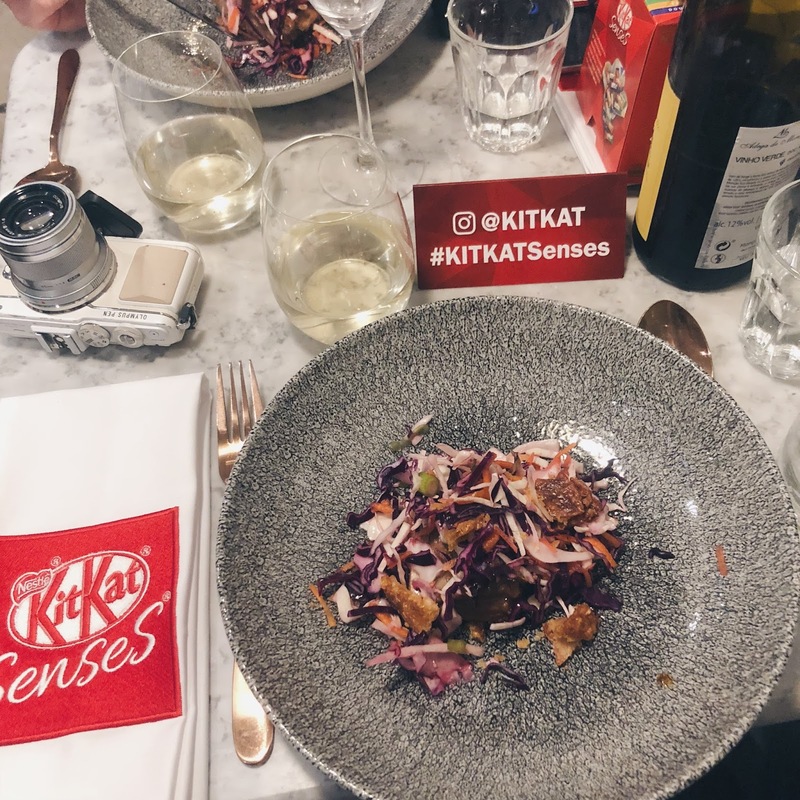 KitKat Senses is a bit like the 'grown-up' version of KitKat. They're little mini bars which combine the KitKat wafer that you know and love with one of three delicious, decadent fillings (Hazelnut, Salted Caramel and Double Choc). They are ideal for sharing (the box actually pops open into a plate) so are perfect to take along to a dinner party or to tuck into you with your BFF while you're having a catch-up. 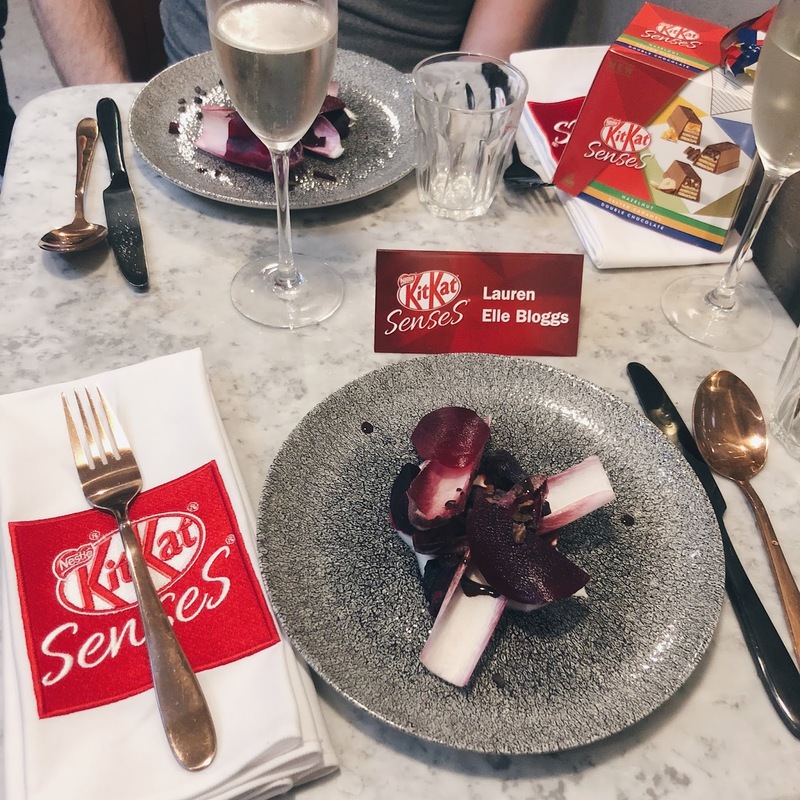 To celebrate the launch, the Kit Kat team invited me down to a fabulous event with Masterchef finalists Billy & Jack who treated us to a three-course dinner with each dish taking inspiration from the new KitKat Senses flavours. Rather than taking the easy option of using Double Chocolate in the dessert, the boys actually worked it into our starter which was a delicious salad combining salted yoghurt with beetroot cooked three ways (including salt baked) and radicchio, all drizzled with a chocolate balsamic sauce and crunchy cocoa nibs. The main course took inspiration from the Salted Caramel flavour and combined my absolute favourite food Pork Belly with a fragrant Thai-inspired slaw and caramel sauce (plus crispy crackling sprinkled on top for good measure). Then we finished our meal with an incredible hazelnut, praline meringue and chocolate ice cream..complete with my name iced onto the plate! 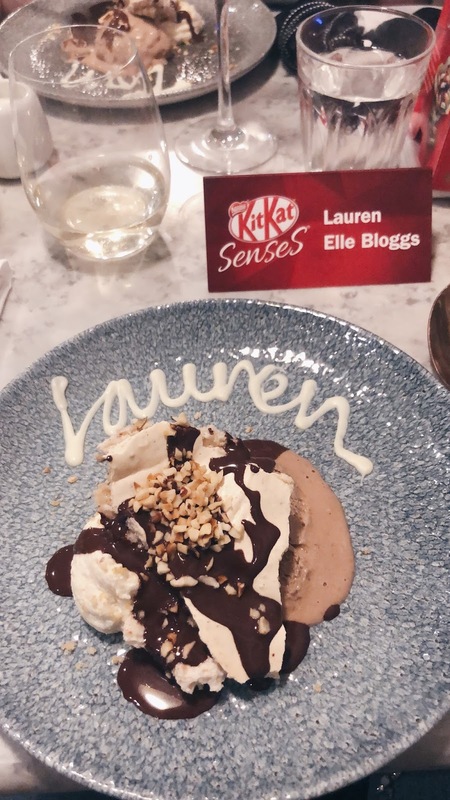 The Hazelnut is actually my favourite of the three flavours and this was the perfect way to round off an incredible evening! 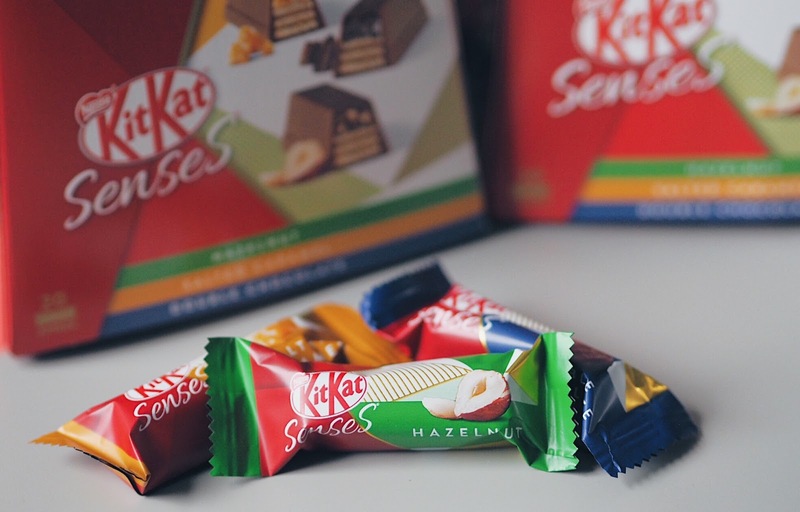 If you fancy trying KitKat Senses for yourself, the good news is they are available in stores now! You can find them in all major retails and they're priced just £3.99 for a box of 20! What are you waiting for?! 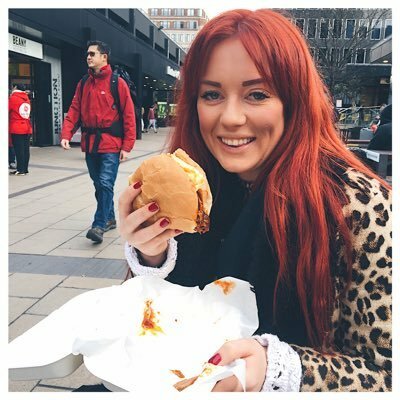 This post wasn't sponsored - I just really love KitKat!